Lab created diamonds also known as lab-grown diamonds, man-made diamonds, cultured diamond or synthetic diamonds. Lab diamonds are grown from the tiny carbon seeds of pre-existing diamonds. These man-made diamonds consist of actual carbon atoms arranged in the diamond crystal structure. Since they are made up of the same material, they have the same optical features. Lab-grown diamonds are now readily available in a variety of colorless ranges. Cultured diamonds are also available in fancy colors that are considered very rare in nature. Fancy colored lab created diamonds are sold at comparatively lower prices as compared to natural colored diamond. Lab created diamonds are sustainable diamonds, they are ethically grown with minimum environmental impact. By choosing a grown diamond against the earth-mined diamond you’re reducing the harmful impact on the environment .“GO GREEN, GO ECO-FRIENDLY” has become the ultimate motto of millennial shoppers in all aspects of the industry, including fine jewelry craftsmanship itself. When it comes to objects as valuable as diamonds, reputable jewelry houses cannot even think of taking “synthetic” for granted, without firmly assuring customer satisfaction from the quality and authenticity of their stones. In the fine jewelry world, diamonds created above the ground, not below it, are often described as “man-made”, First-time buyers should bear in mind that fake diamonds and diamonds grew under highly supervised conditions have nothing in common. Until the retailer gives you the proper document don’t accept it. It is quite normal to wonder how it is possible to bring into existence a stone that looks as precious and startling as the mined diamond by using the same formula which nature developed thousands of years ago.HPHT and CVD are the two prevalent methods for growing diamonds.HPHT (High-Pressure High Temperature) is a process in which the stone grows out of a diamond seed under extreme conditions. These conditions refer to the levels of pressure and temperature which are necessary for a mined diamond to grow; the same is applied to the growing process of the diamond with a lab origin. The second process, CVD (Chemical Vapor Deposition) is a relatively new one and it is carried out in a chamber filled with carbon-rich vapor. To know it in details you can go through our blog on how synthetic diamonds are made. As we know that the lab created diamond doesn’t have any difference because they are in the purest form only. We cannot actually find out the difference between the man created diamond and earth mined. This makes it useful in construction, nuclear engineering, and medicine so Diamond is one of the hardest known materials. According to current industry predictions, the supply of mined diamonds is expected to decline in years to come, as diamonds from known sources pop out. 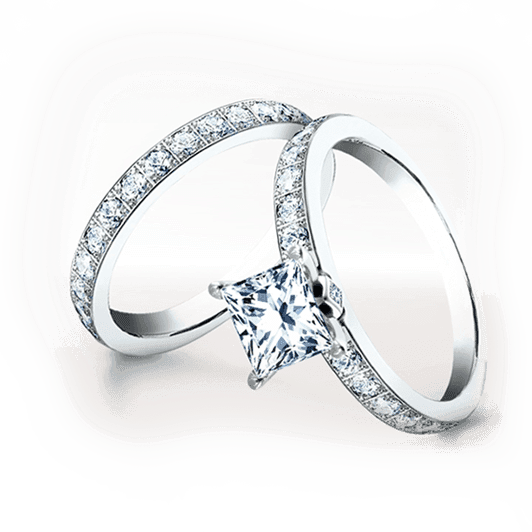 But demand for diamond is expected to continue to expand, not only for jewelry but for different industries. It will not only sustain jobs in jewelry industry but also in other industrial and high tech fields where diamonds are needed. AIDIA lab-grown diamonds are created so that you know where are the diamonds extracted and from where it is sourced. When the diamonds are extracted for cutting, faceting, and polishing; AIDIA uses highly trained diamonds to bring out lab-grown beauties to a sparkling finish. some of the people has a misconception that lab created diamond does not have any resale value but this concept is wrong, lab created diamond does have a resale value as compared to earth mined diamond. 9.Cheap to manufacture: It has the cheapest manufacturing cost. It has same physical and optical feature as that of the mined diamonds. It will not change its color or appearance. It will look exactly the same till millions of years. Hey, do you know you can get all these comprehensive features on New Dawn Diamonds too? Most of you may have a confusion whether new dawn diamonds are lab created or not. To clear out your confusion, just contact to Diamonds Inc.